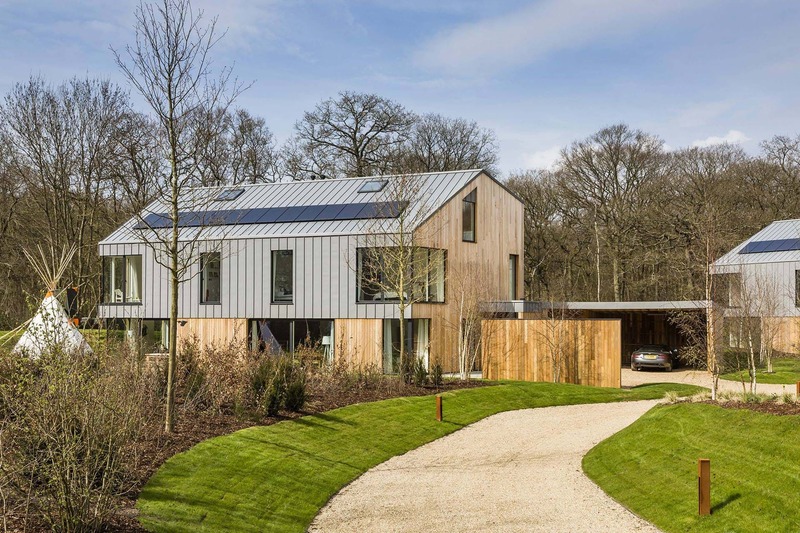 The Woods is a collection of four detached, five and six bedroomed homes set within ancient woodland that forms part of a 600 acre National Nature Reserve near Woburn, Bedfordshire and accessed by a 500m private driveway. This situation demanded a blend of luxurious living with contemporary, sustainable design. 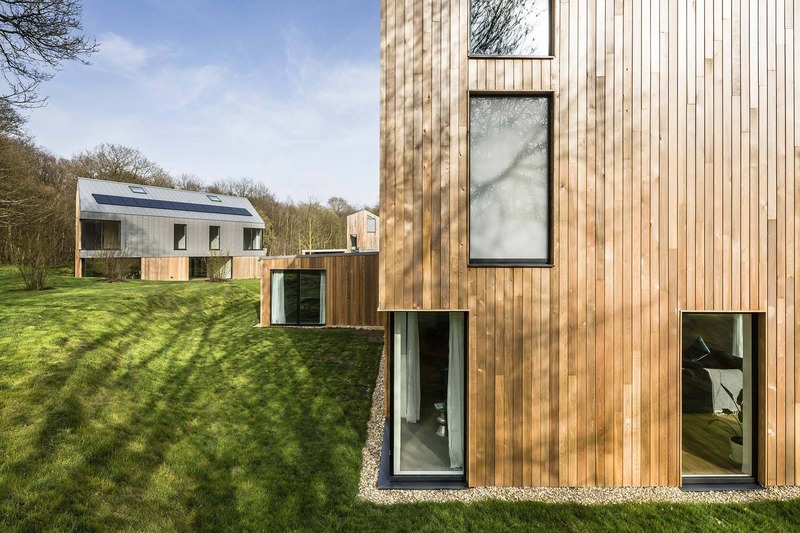 Our concept for The Woods homes was guided by a design ethos in promoting sustainable architecture and delivering high-quality contemporary design beyond ‘standard’. 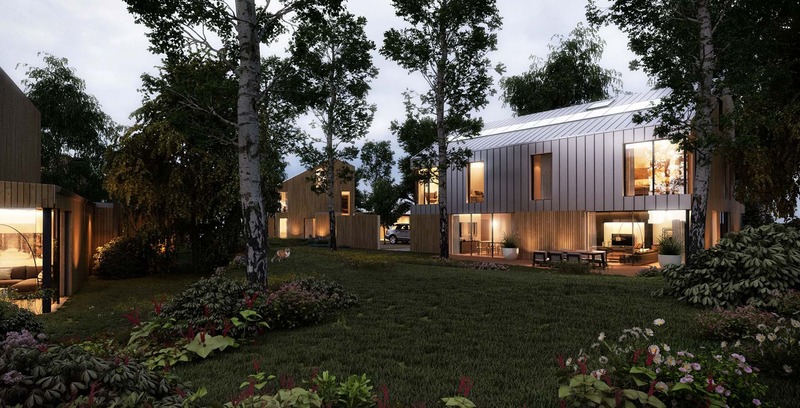 Whilst it is located in greenbelt and surrounded by protected woodland, the innovative and sustainable design contributed to the project receiving planning approval. 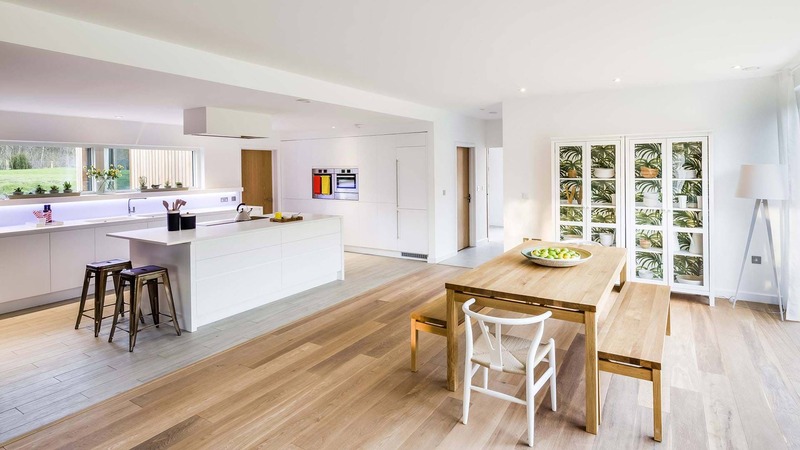 We have ensured there is a spatial continuity between the internal and external throughout each house. Sustainability was at the forefront of our design, with solar panels, biomass boilers, triple glazing and rainwater harvesting units. Each home has been built to sustainable homes level 5 for significantly reduced carbon footprint and water consumption. 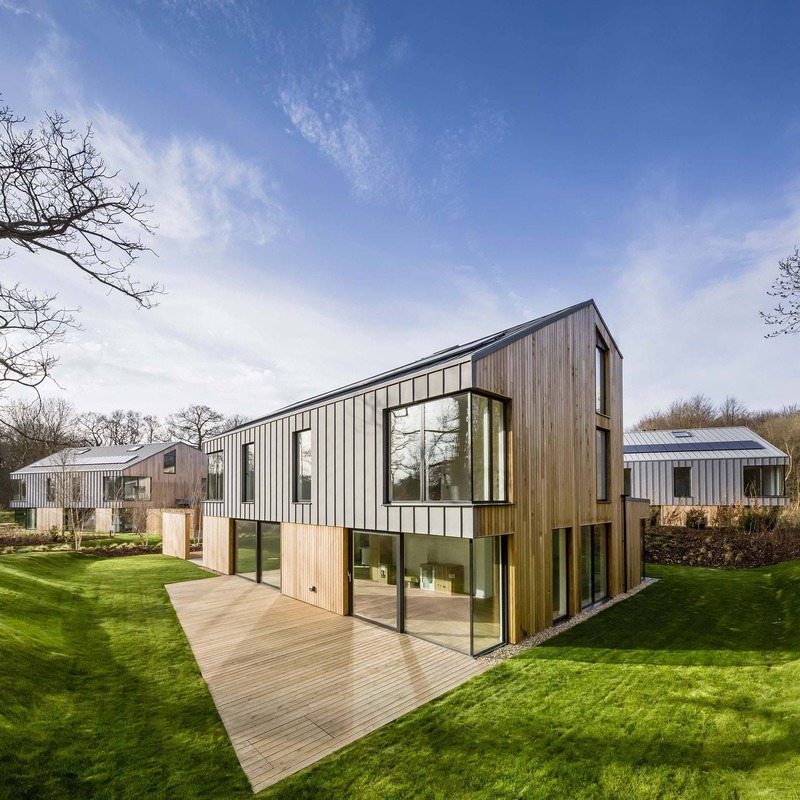 The award-winning scheme has been recognised by numerous housing design panels.